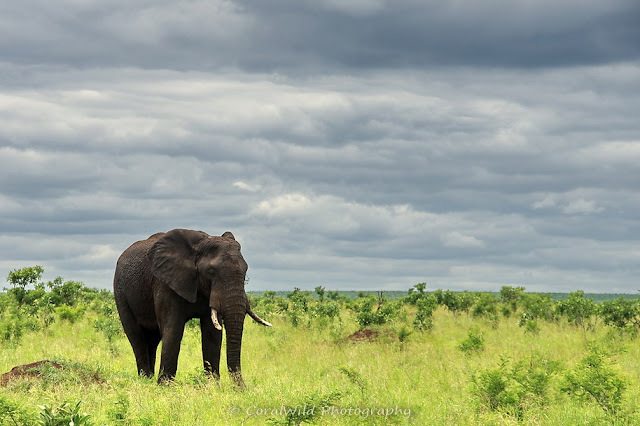 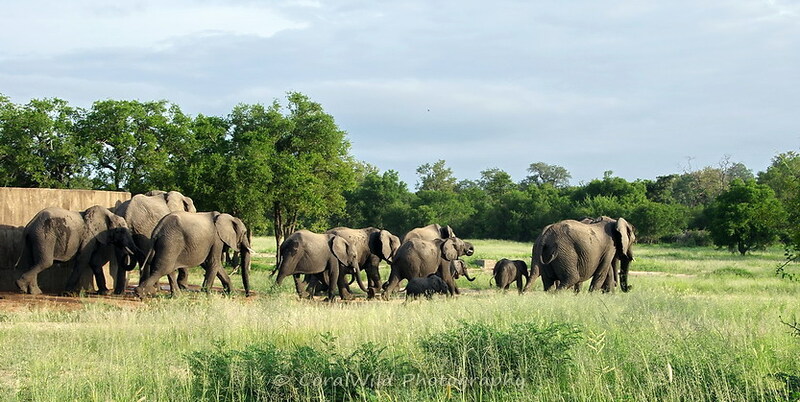 In the south, Kruger National Park is looking lush and green after 2+ months of heavy rain and intervals of scorching sunshine. It's been difficult to decide which of my many, many photos to publish in this post, so I hope you enjoy this selection of my favourites. 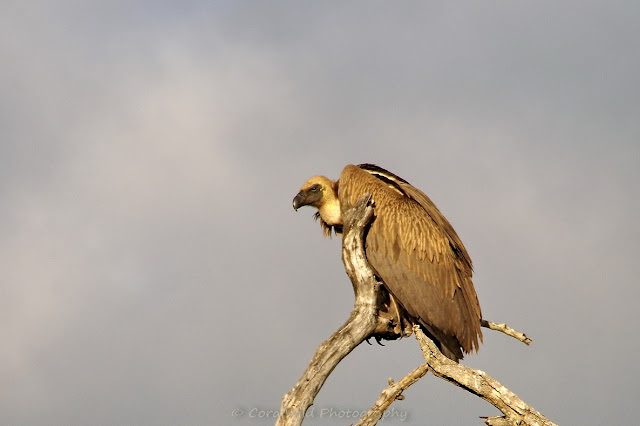 Birding is always at it's best in summer, and in addition to all the migrants we had some great encounters with the raptors. 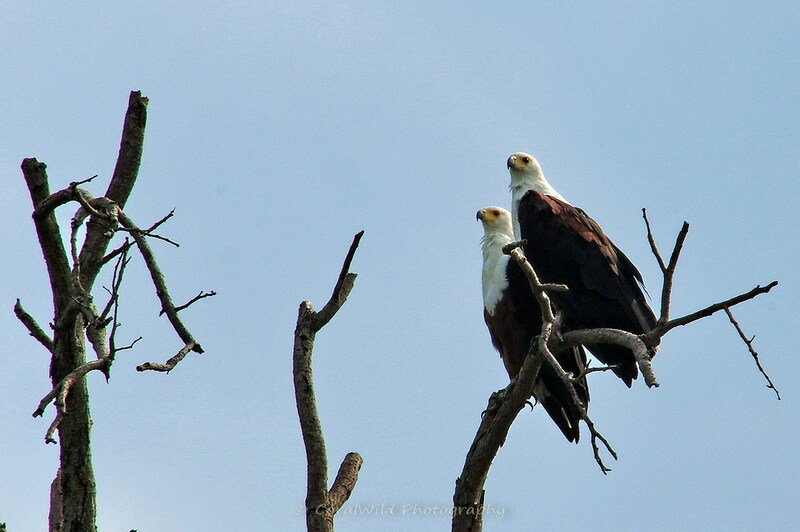 This pair of African Fish Eagles were performing their breathtaking courtship flight before taking a break in this tree. 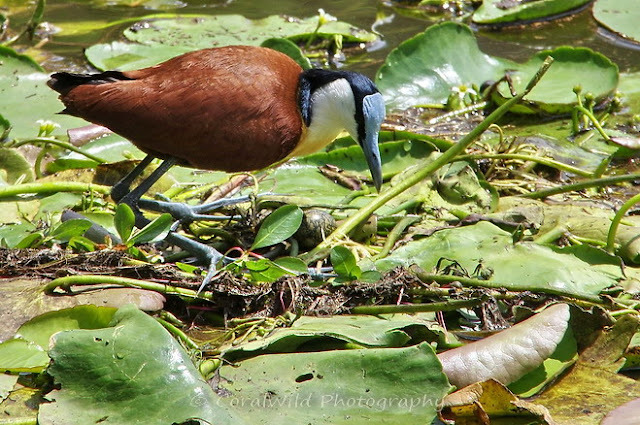 It took me a while to see what this African Jacana was focused on. A partly cloudy morning at the Lake Panic Bird Hide, and when the sun disappeared the Jacana would frantically forage around the lily pads only to return to this spot every time the sun reappeared. If you look carefully on the vegetation below it's breast you can see it's green/black marbled egg. The Jacana is about to shade the egg with it's body & wings !! 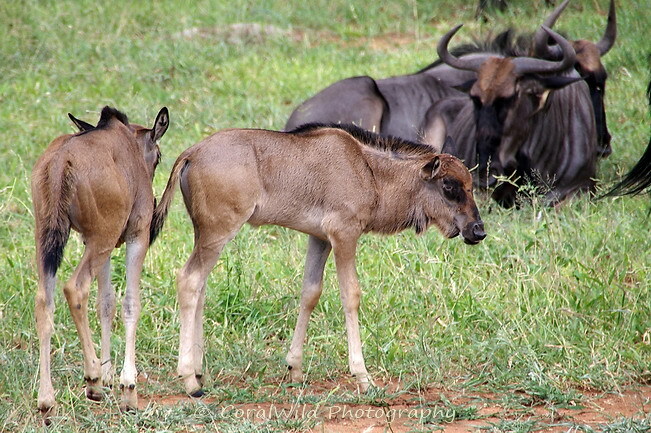 Early January, a distinctly pregnant wildebeest crossing to the greener grass..
3 weeks later and the very young calves have arrived and are out in the open.. 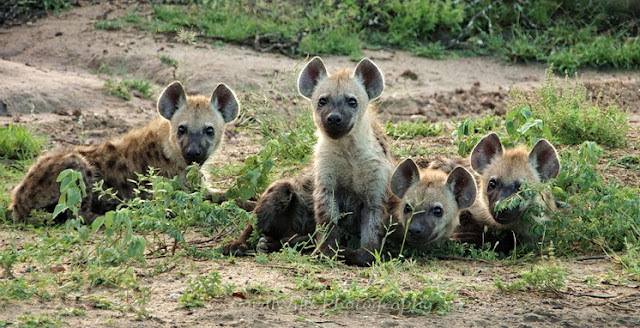 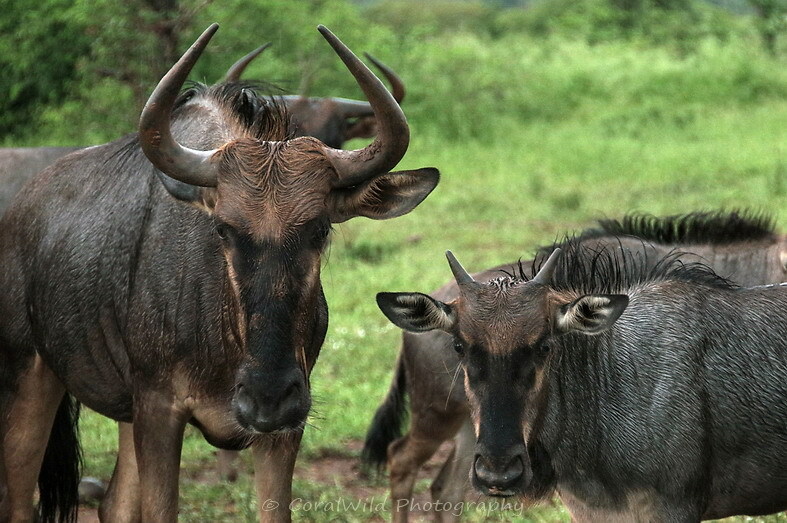 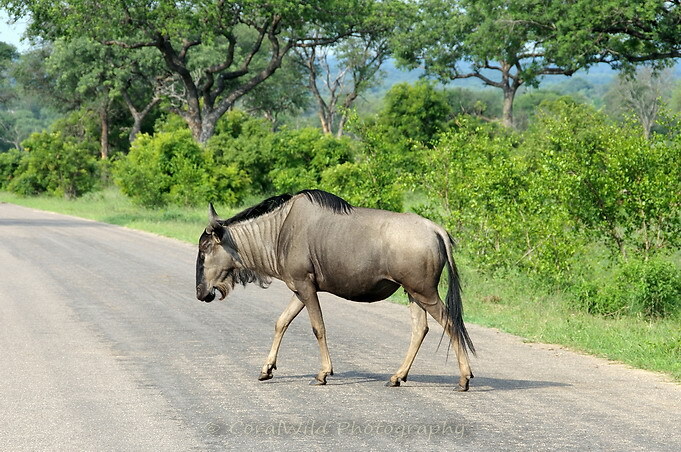 Early March and the wildebeest calves have visible horns and darkened coats..
What safari to Kruger is complete (or blog posting) without a sighting of elephant? 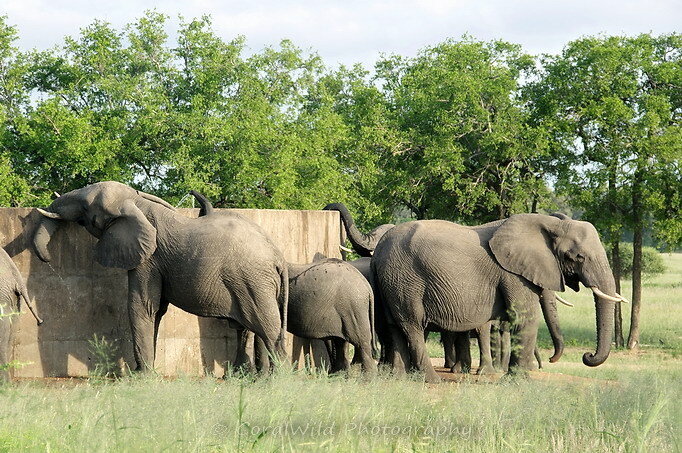 There's water everywhere at this time of the year, but elephants do like their drinking water to be clean. This low-walled reservoir at the Waterkant waterhole is a favourite destination for the eles in the area. 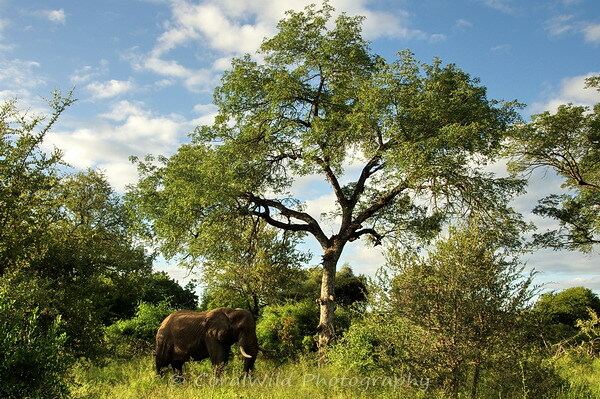 and diligently searching for fruit under stately Marula trees in the west. 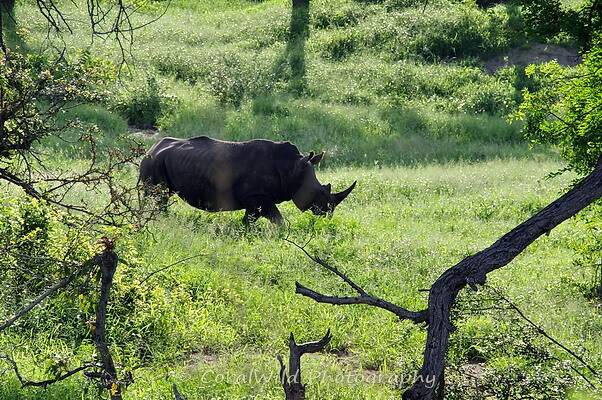 We didn't see rhino on every safari, but the sightings we did have were excellent. 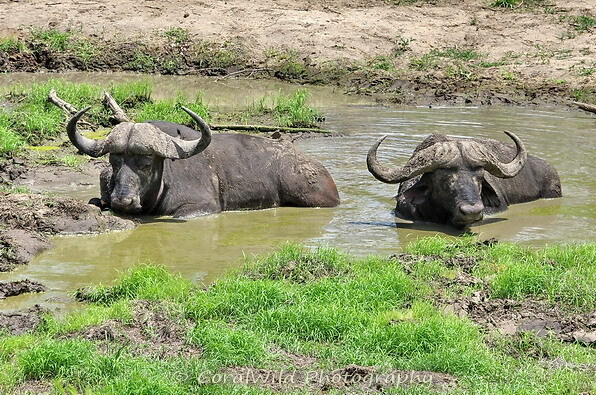 Two old male African buffalo cooling off in the mid-day heat. 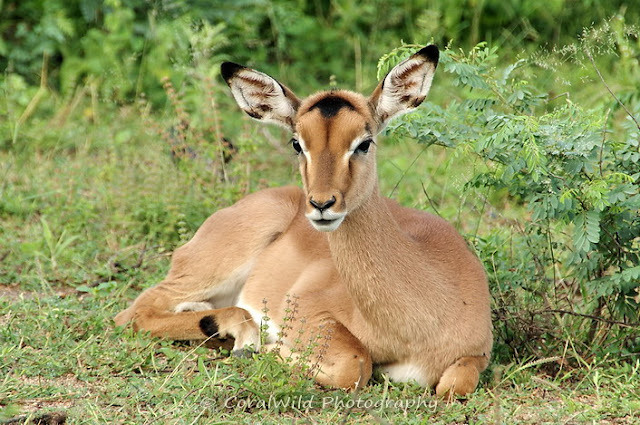 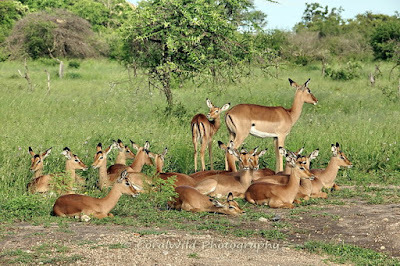 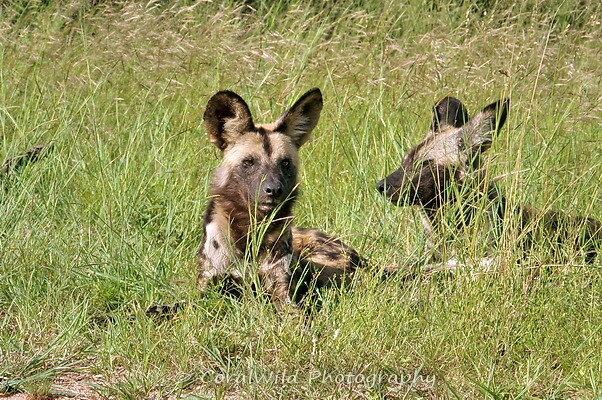 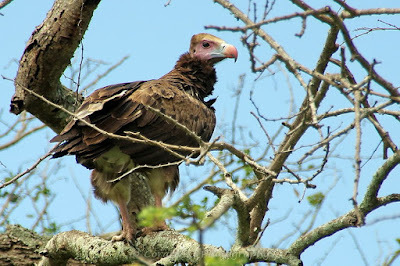 The early morning game drives are a lot more pleasant (warmer) in summer, although most of my guests find it quite difficult to manage the 5am start :) But this year they have definitely produced the predators we were seeking. 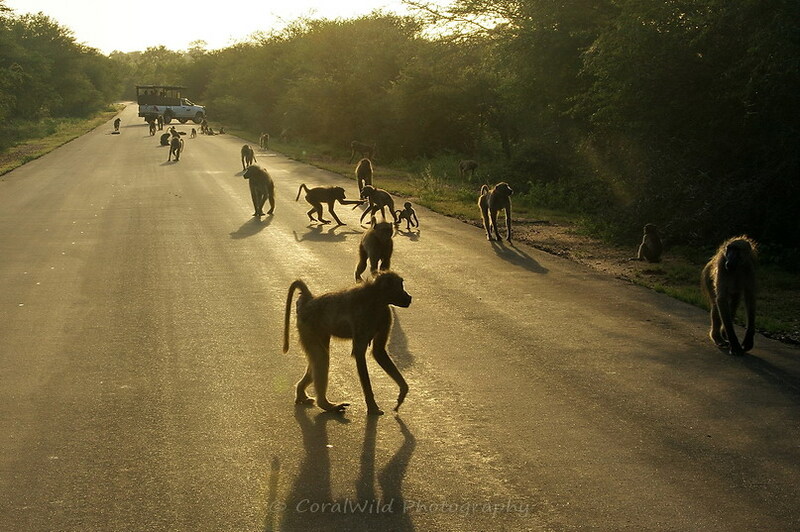 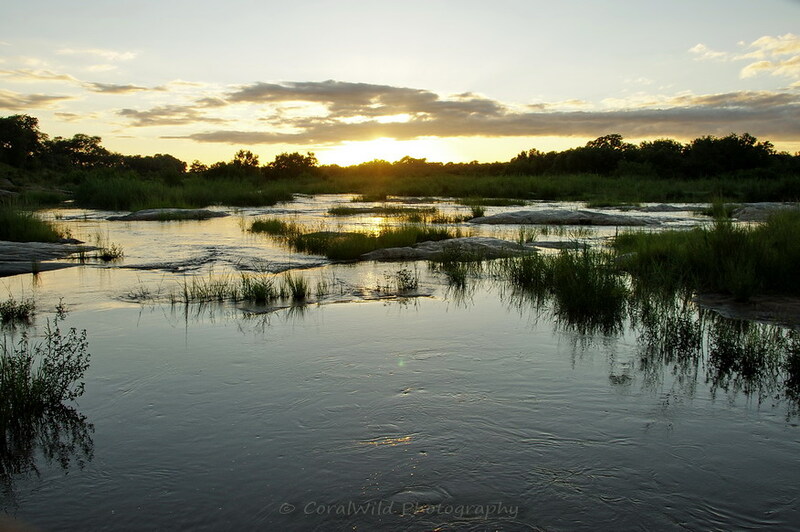 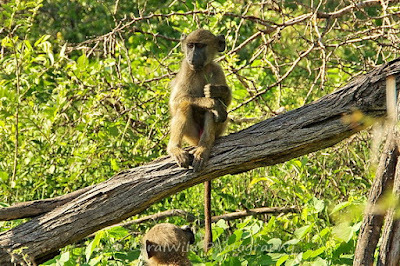 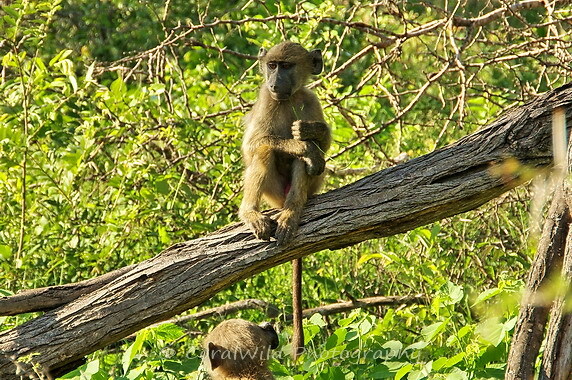 Other advantages of the early morning are seeing the sunrise over the river and baboons on the river road. 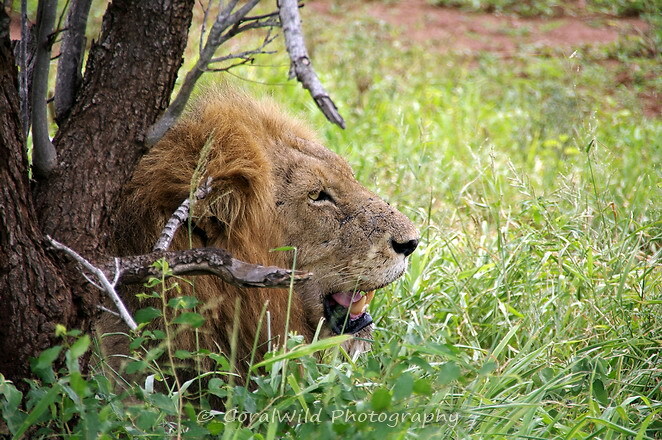 I'm going out on safari again tomorrow, next weekend and mid-April. 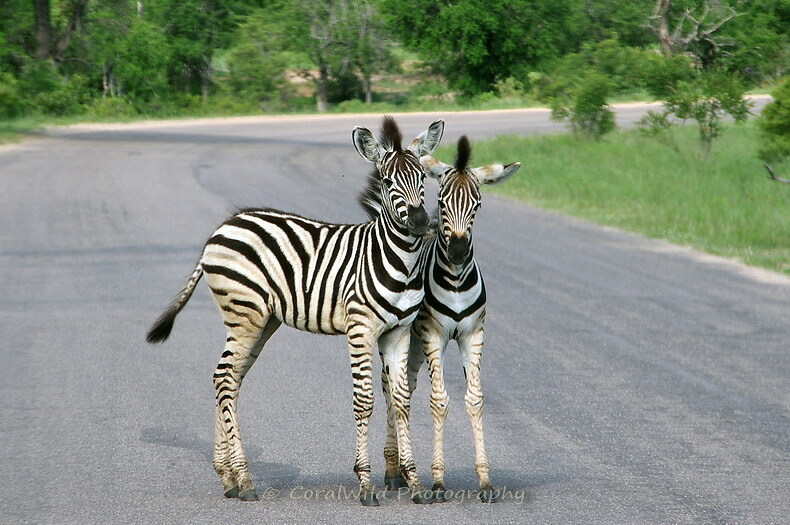 There may be more trips in between. 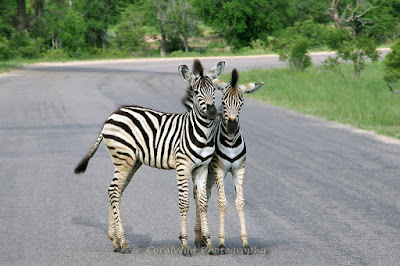 So the summer is not over yet, and I'm going to be seeing so much more. Just can't wait!